It looks like Kentucky Kingdom will have a major new ride for 2011. Could it be a coaster? I created this topic in response to speculate new possible attractions at Kentucky Kingdom in response to Ed Hart's very first attempt to reopen the park in 2011 as I am a major fan of the park. Yet, this topic has primarily used to degrade Kentucky Kingdom and hopes for the park to fail here by many KIC Members. After 3 years of being closed, Hart finally received the keys of the Kingdom along with the KKRC who had invested millions to get the park back up reopening the park in 2014.Even though the park is reopened, hopes of a closed Kingdom continues on this site/thread and its successes and promises are always interpreted to failure. Uh...that article deserves careful reading. A $55 million bond issue (state backed funding) so Hart can get a sweet deal to use taxpayer funding to compete with Kings Island, Holiday World and Beech Bend, parks owned by private investors and private sector companies. Yes, he promises an $8 million coaster, free parking and $1 drinks...but wants to pay only slightly more than a million in rent each year and use state backing to get funds to compete with privately owned parks. This dog has a long way to go before it hunts. This article also says the proposal would require General Assembly approval in 2011. I cannot imagine that happening. Perhaps, but I don't see how. And if General Assembly approval is granted in 2011, will it allow enough time for the park to open in 2011? I hope this park opens next year, because I will be making a trip down there! You had me at $1 Drinks. when are you going to stop doubting the park re-opening? you got to stay positive, no one wants the park to be closed forever. So the state would theoretically provide money for all this, get a $1 million dollar lease payment, and no parking revenue. I know Six Flags rejected the lease after the fair board refused to renegotiate. Was Six Flags offer worse for Kentucky than this? No. Six Flags wanted only a rent reduction, and to nowhere near this level. And Six Flags would have invested in the park with private, not government funds. I am not Mr. Rose Colored Glasses. I would not, for instance, have advised Six Flags to buy all those parks they did (and we know how that ended). Or that Mr. Kinzel buy Paramount Parks. There is, in my opinion, NO reason to be optimistic about Kentucky Kingdom's future under the Fair Board. None at all. Those are those parks. It doesn't mean what happen to those parks will happen to kentucky kingdom. Anyways, I do believe Six Flags Kentucky Kingdom did borrow money from the state or government in 2006. Those funds went to the waterpark when it was refurbish and deluge was added. So he is promising to undercut Kings Island and other parks? So he plans on taking KY money and spending it in OH & TN. This whole deal smells for the citizens of KY. I am surprised that this folly has continued this long. Even if KY for some strange reasson were to approve this meassure and KY Kingdom reopens, I have no faith in the park being sustainable. There is a reasson it has failed twice and I think a 3rd time would be imenent. Plus this isn't a good economy for new parks or strugling parks. See those listed by Terpy earlier. I seriously doubt the state would give him any backing, in a day and age where parties of tea enthusiasts whine and complain over the slightest expense and taxes are about as popular as midget wrestling at a halloween event, this would be a hard sell to the public. If I'm correct, the Lucas Oil Stadium in Indianapolis was funded by tax dollars. Either way, I don't think tax dollars should go to things like amusement parks or football stadiums. It is a standard practice in this country for public $ (whether subsidy, direct payment, partnership, and/or tax breaks) to be provided by Governments to Private Business (which can include stadiums, amusement parks, or any business). These are typically negotiated and done in such a fashion where the benefit to the community (jobs and tax income, further development, convention/hotel/other business) will offset the cost. How would Kentucky benefit in this scenario? Summer jobs for teens and a few tourists from Ohio, Indiana, and Nashville will not pay out in my opinion. Especially when Kentucky already is in financial trouble. One could argue that a good way to save $ for Kentucky would be to let go of the fair board representative responsible for running off Six Flags. How'd the fair do this year? Is he earning his salary? As a Kentucky resident I hope they reject this deal. Plus there is absolutely no chance this passes next year, David Williams is the Senate leader and is running for Governor next year with his running mate Ritchie Farmer who is the current Ag commissioner. If anyone on the Republican side runs against them that would be a major primary issue for voters. Also issuing a bond to build the amusement park will not fly in this political climate. The best solution is for the state to sell the property to a private company/investor and get out of the entertainment business. The money saved from operating costs should go back into the State Park budget which are among some of the best in the country. The board made a huge mistake by not working a deal with Six Flags and even if the state gave away the land free & clear they would have been better off long term. Tax issues for stadiums in most cases are local issues voted on by the local citizens. My guess is even with a 10 game season that the NFL generates more local business than an entire summer of an amusement park due to the secondary jobs created at local bars, restaurants, and liquor stores. Not to mention other events that can be held at a facility such as Lucas Oil Stadium such as a WrestleMania, Super Bowl, etc..
With the current state that Kentucky Kingdom is in (not a very good one, but not that bad either) there is no way they can open in 2011...Even if this is passed I just don't see it happening. As much as I want it to happen i just don't see it happening. Should this be passed, I will never go to Kentucky Kingdom under the leadership of Ed Hart. Such an utter waste of taxpayer dollars. Trying to improve your state's economy by purposely hurting the surrounding states is just wrong. Personally I don't see a problem here...how is this no different from major league sports stadiums being built almost everywhere today? If Kentucky Kingdom reopens it WILL employee thousands of workers and bring jobs to the city of Louisville, it WILL improve tourism and traffic through the area and overall is WILL improve the economy. Also, there are more sure opportunities of investment towards creating jobs. ...The Fair Board is expected to take up the matter at its October meeting. The Kentucky General Assembly would also have to give its approval. A fair shot. A fair shot. Mr. Workman, the same gentleman who ran off Six Flags by refusing to negotiate a lease rental reduction, thinks state taxpayer money should be put at risk for a scheme that even he admits has only a "fair shot." to me, competing with Kings Island and holiday world is a good thing. Isn't this what we all want! that will make Kings Island and holiday world add more attractions. But to me, he isn't using the money to compete with those parks, hes just trying to bring back the public and make things the way they used to be. Kings Island and Holiday World has been advertising here in louisville MAJOR for years to be honest. Has Kentucky Kingdom had commerical every 20-30mins? Billboards everywhere? Radio Commercials near Cincinnati? Thats what Kings Island has been doing for years here in louisville, not just this past summer. No, I do not know any such a thing. In fact, I know the exact opposite. It is nice to love Kentucky Kingdom. You are, in fact, not alone in that regard. But it is completely unfair and unrealistic for a state to own and operate an amusement park in competition with others, using tax monies generated by its citizens. See Rye Playland in New York for all the controversy that generates. See also Visionland in Alabama for an instructive case. Find out how much money the local taxpayers there lost as that park failed and was rescued, by the private sector, as Alabama Adventure, at great financial loss to the taxpayers. The Commonwealth of Kentucky is in dire financial straits. 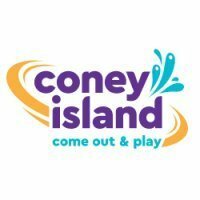 To fund an amusement park as a job generator when the state is in danger of stopping unemployment compensation payments due to lack of money, in danger of stopping worker's comp payments due to lack of money, is laying off state employees providing necessary public services for six days each year (so far) due to lack of money is sheer folly. Sentimentality is not a factor when the legislature doles out limited funds. This plan has almost no prospect for success and is probably dead on arrival. If it was funded by any manner other than debt I would agree with you, which is what the deal that Six Flags was asking for would have done. However adding 50 million dollars in debt to give to a private individual is not the answer. The Keynesian economic approach simply does not work which is why you have stadium funds running deficits in Cincinnati, why there's been very negligible job creation despite just under a trillion dollars spent in "stimulus" spending, and why the New Deal didn't create any jobs until America's involvement in World War II. The state would be better off just giving the guy the land free and clear and let him spend his own money developing the park rather than borrow 50 million dollars when the state already has problems meeting budgets for the things the State Constitution calls them to do such as roads, police & schools. In addition, how does the Government decide who has to compete on their own and take their chances at success or failure, and who gets government largess and can compete against others with the hand of government protecting them against risks that others must face? Why do taxpayer funds protect Mr. Hart while Cedar Fair, the Kochs and Dallas Jones must risk bankruptcy while competing against a Commonwealth of Kentucky funded Ed Hart? And why must Kentucky taxpayers see their funds used for an amusement park that the private sector did not see it appropriate to continue? And if this turns out to be a financial bonanza, why does Ed Hart get the benefits, not the Kochs, Cedar Fair or Dallas Jones? Ed Hart is running around doing press conferences explaining what's in this for Kentucky and for Louisville. Someone should be closely looking at the proposal to see what is in it for Ed Hart.